A timeless classic. This game was way ahead of its time. Games are still stealing from this today. 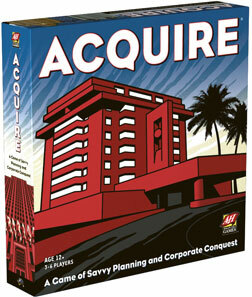 And also the source of one of the oldest debates in boardgaming: should player stock be public or hidden? I always enjoy playing this economic game even though I rarely win. Seeing your opponents groan and seethe because you merged your hotel chain with theirs or founding their favorite chain is a source of laughs chortles for us. Ability to keep track of who bought what is a must for this game. Nothing more satisfying then stealing someone else's hotel when they worked so hard on it. This is a nice paced game, a very good classic.